Fortunately, many of us, including children, parents, other relatives and friends may find and implement worthwhile solutions to important problems while people wait. However, some people are afraid to try. They believe that treating mental health problems always requires medical or professional training. Improving thoughts, feelings and behavior are the only direct purposes of mental health interventions. Everyone with a mental health issue wants to feel better, behave differently or think in different ways. The good news is that most of us may have profound influences on mental well-being and can help suffers solve or mitigate many mental health problems. Each of us, every day, intentionally or unintentionally influences the mental health (thoughts, feelings and behavior) of those around us. Mental health interventions have only three purposes. They aim to change the way people think, how they feel, and how they behave. Psychologists, psychiatrists, friends and neighbors use a variety of tools. 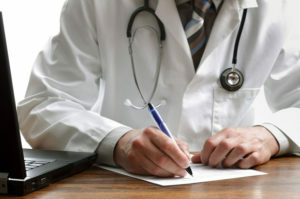 Medical training is usually not necessary because most people with mental health problems do not have test results that show they have a known biological illness. Most people can be helped without medication. People with mental health problems fit into three medical categories. The first category includes people who have known treatable biologic problems. In other words, there is something identifiably wrong with how their body works. In the case of depressed feelings, this includes people with thyroid disease or adrenal disease. Blood tests and physical examination allow doctors to identify what is out of balance and to prescribe drugs to correct the imbalance. Doctors and patients measure success by measuring changes in laboratory values and improvement in mood. The group of patients with known medical disease requires intervention (medication) that can only be prescribed by physicians. The second category, a larger group, includes people who have no detected abnormalities in blood chemistry or other bodily functions. For most people in this group it is appropriate to try non-medicinal interventions as a first choice. These non-medicinal interventions require people skills, but not a medical licence. The second category includes people who are depressed because they eat poorly and do not exercise or their life context is depressing. Their biology is the same as those of their neighbors who would also feel depressed if they ate and behaved in the same way or if they suffered similar losses in their life. The third category includes people who feel depressed without any known cause. They appear medically normal and have no detectable biochemical abnormalities. They might have an undiscovered illness or a known medical problem their physician has not considered. Depression, the most common mental health problem, usually resolves without the need for medication. A recent article in the Journal of the American Medical Association reported that antidepressant medication only helps the small number of people who are most severely depressed. Most improve without medication. Other helpful interventions include conversation with psychotherapists, psychologists, friends and neighbors and changing life style including diet and exercise to improve mood. Drugs might be useful in some cases where the problem is of no known cause. Drugs can alter the way people think, feel or behave regardless of whether or not they have a biologic abnormality or chemical imbalance. Unfortunately, the current mental health model insists that most people see a physician to enter the system to get help. This is despite the fact that drugs are the only unique treatments offered by physicians, and many people improve without medication. Maybe we are going to the wrong source for mental health support. Perhaps the Elixir of Good Feeling is available at a friend’s house, or at the next desk in the office or from a partner or spouse. The levers that can control how we feel are available to all of us. We have to believe in ourselves and in our neighbors. Changing the way communities support mental health services will not only improve access to help, but also save more people from the consequences and side effects of unnecessary drug treatment.